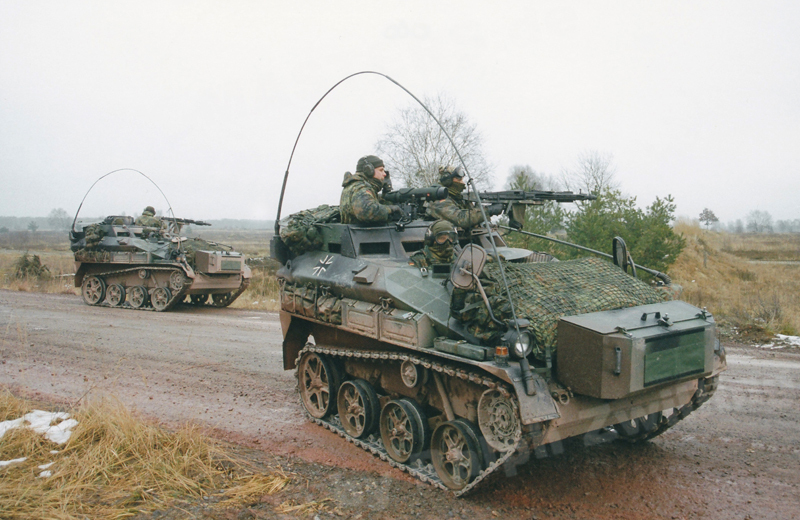 Between January and March 2005 the Bundeswehr received 16 Wiesel 1 Reconnaissance Vehicles which were based on Wiesel 1A0 TOW Armored Weapon Carriers. 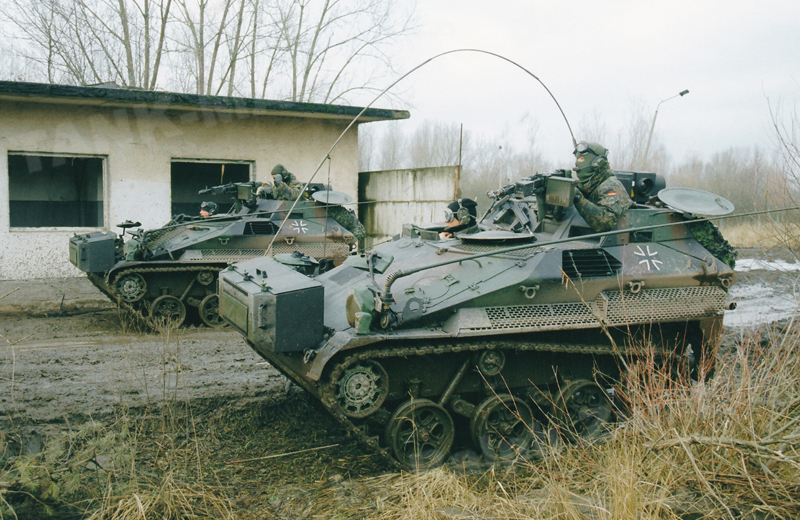 For ergonomic reasons the roof of the rear fighting compartment of the vehicle was raised by several centimeters, an obvious distinction feature. 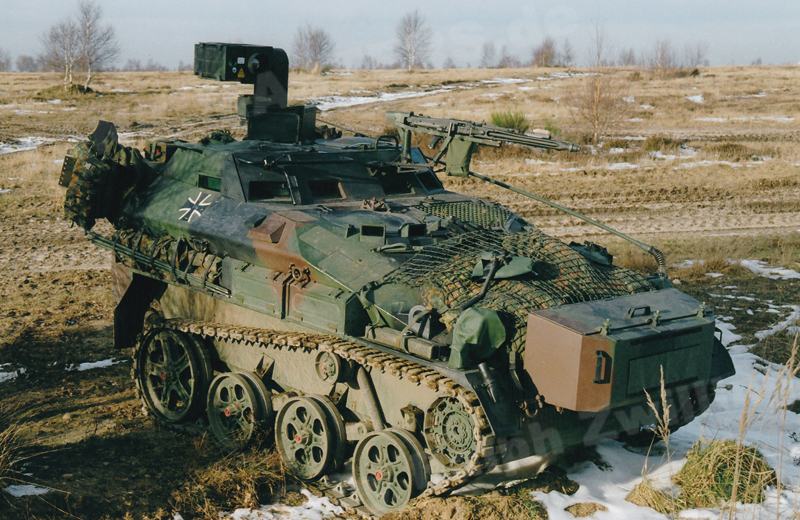 The heart of the vehicle is the Autonomes Optronisches Zielsystem (AOZ) 2000 observation system developed by Rheinmetall Defence Electronics GmbH. The AOZ 2000 includes an OPHELIOS thermal imaging system, CCD-daylight camera system and HALEM 2 laser rangefinder. The sensor head can be raised up to a height of 220cm above the ground. 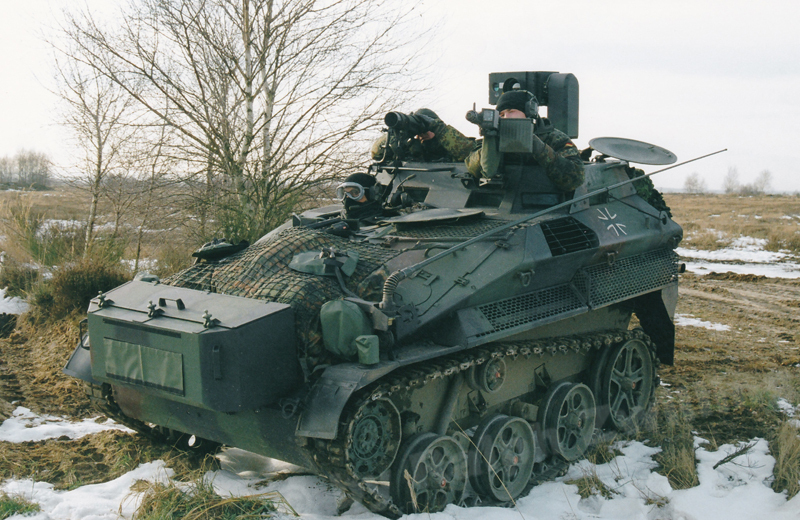 The armament consists of an externally mounted 7,62mm x 51 MG3 machine gun operated by the Scout.